Hello everyone! 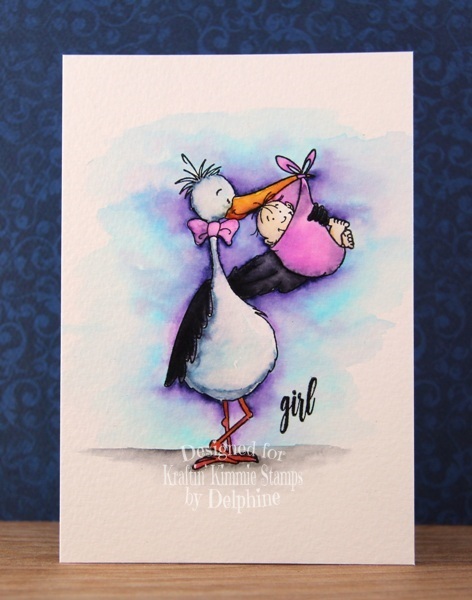 Today we are celebrating the amazing release of all our new February stamp sets at Kraftin' Kimmie Stamps! All THREE new sets will be available this afternoon in the Krafty Shop! So let's have a hop! First up is BABY LOVE! Then sweet WELCOME TO THE WORLD! And lastly the adorable WILD WORLD! All the new sets will be available individually but if you have to have them all, we also have our February Gimme Kimmie's Kit which includes all three of the new stamp sets together and at a discount! But only for a limited time and while supplies last! I am very inspired by your watercoloring with such bright and beautiful colors ! Love your card ! wow, you card is beautiful, and I LOVE your WEBSITE it is cool and unique !!!!! !